New brand to promote the country for tourism and business will be on display at the C&IT Awards. The Singapore Tourism Board (STB) and the Singapore Economic Development Board (EDB) today unveiled a unified brand, Passion Made Possible, to market Singapore internationally for tourism and business. Singapore – Passion Made Possible will be officially launched in the UK from 2 to 8 October, during London Cocktail Week. But STB plans to launch the new brand to attendees at the C&IT Awards on 22 September first, giving industry buyers the chance to see what’s on offer. "With Passion Made Possible, STB is presenting a brand that can tell a fuller Singapore story and will appeal to more sophisticated tourists who are seeking more aspirational travel," said Jason Chan, area director for Northern & Western Europe, Singapore Tourism Board. "The UK is the ninth largest source of tourists to Singapore and the number of visitors from the UK is up five per cent in 2017 so far compared to last year. Singapore’s unique mix of world-renowned attractions, world-class food and cocktails, and melting pot of different cultures, is proving an increasingly attractive prospect to UK visitors." 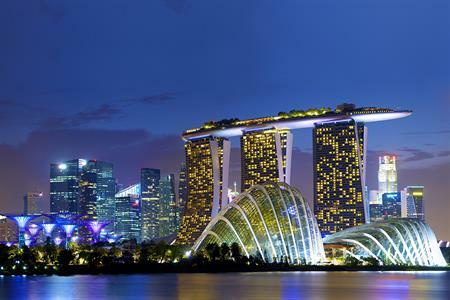 Over the last five decades, Singapore has built a strong reputation as a global tourism and business hub, recognised for its quality infrastructure, safety, stability, connectedness and accessibility. However, global competition to attract tourists and investments has intensified, and the media landscape has become more crowded and complex. Visitors have become more discerning in their travel choices, seeking to immerse themselves in cultures and build deeper connections with destinations, while international businesses want to create new solutions that make a difference. The unified brand aims to communicate the country’s qualities in addressing the needs of travellers and companies, and help Singapore stand out on the international stage. Just this week, IMEX published a research paper stating the need for countries and cities to present a coherent brand to the rest of the world. It also suggested closer collaboration was needed between governments and the MICE industry for future development and economic growth.